Partners, Rogue Valley Farmers & Artisan Processors. Medical Veterans: Save 10% Every Day, and choose one free item from the Compassion Bin. 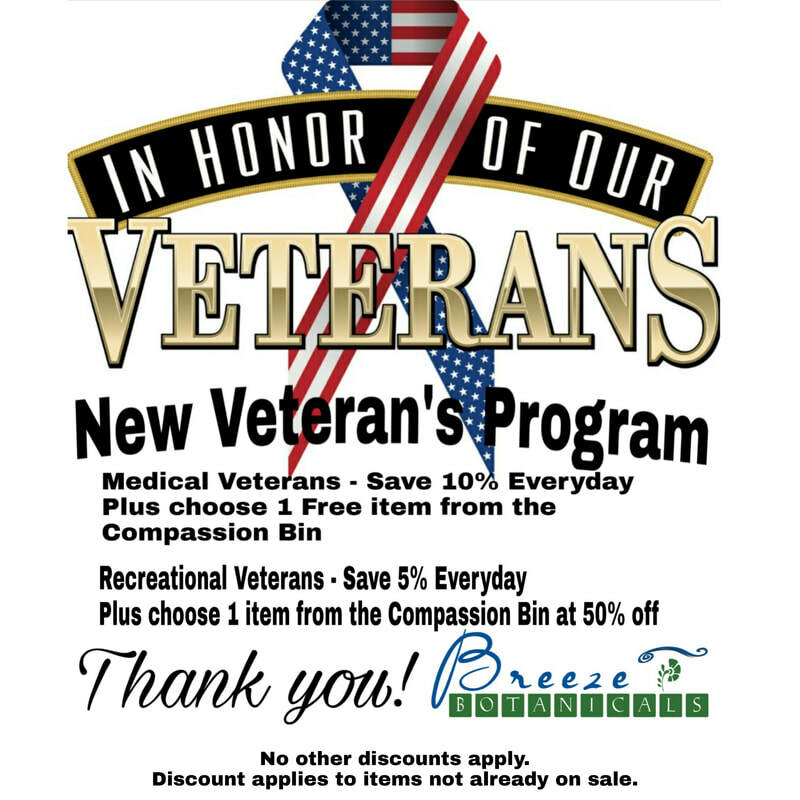 Recreational Veterans: Save 5% Every Day, and choose one item from the Compassion Bin at 50% off retail price.